Shark Bar & Kitchen is a locally owned and operated restaurant in Wrightsville Beach, North Carolina. Our motto is simple food, done well. We aim to provide Wrightsville Beach residents and visitors with a fun, coastal casual dining experience that highlights locally and sustainably sourced seafood, meats, and produce as much as possible. Our seafood options begin with fresh oysters on the half shell, tuna poke, and shrimp cocktails; we also offer a catch of the day, crab cakes, and freshly battered and fried Calabash style seafood baskets as entrees. Not in the mood for seafood? We also offer fresh salads, steak frites, an array of made from scratch bar snacks (wings, mac and cheese, loaded tots), as well as our house specialty and locally famous Shark Burger- sorry, we can’t tell you what’s in the sauce! 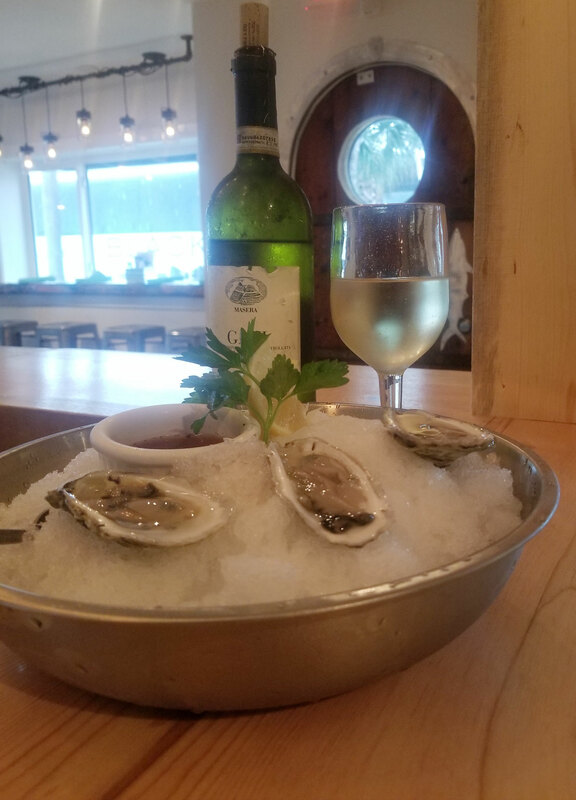 Our oysters and fresh catch will vary daily based on what the boats bring in, and our menu will vary a bit from day to day, season to season depending on what Chef finds fresh. Check out our website or follow us on social media to see what specials we are running! Appropriate Attire required. We accept cash and all major credit cards. Due to the small size of our restaurant, we do not accept reservations. However, please drop by and we'll be happy to put your name on a waitlist if all tables are occupied. Bar seating is always available on a first-come, first-served basis.